The Infosec PMP boot camp is the only program on the market that allows you to take the exam on the fifth day of class. Every other program will have at least a 2-4 week wait after class to test, yet studies show that adults will forget almost 50% of what they learn in a class within two weeks of the end of a class. You'll live, eat and breathe the PMP for 5 days! Targeted exam prep tightly integrates with the PMP and gets to the secrets of the PMP exam. You’ll get 35 hours of PMP pre-study materials before your boot camp, which is required in order to apply for your PMP exam. It’s not just a PMP course, it’s a PMP boot camp. For five days, you live, eat, and breathe the PMP. With targeted exam prep that tightly integrates with the PMP, we get to the secrets of the PMP exam. Infosec has the longest documented history of certification success when it comes to the PMP exam. Since 1997 we have trained thousands of project managers in our PMP courses. Infosec is the most awarded project management training company. Recognition at this level is the result of thousands of quality student experiences in our boot camps. Our proprietary courseware and seasoned instructors results in industry-leading PMP passing rates of over 93%. 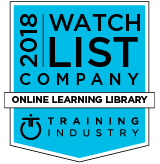 Our approach to pre-study learning packages, hands-on training and proprietary courseware means you’ll leave the boot camp certified. Exam Pass Guarantee with your live online Flex Pro training. We stand behind our training and believe you will pass the PMP on the first try. If you take a Flex Pro training and for some reason you do not pass, we will purchase a second exam voucher for you to re-test. PMI® PDUs Included. At no additional charge, you get a head start on meeting your PMP continuing education requirements. PMI allows you to earn 12 PDUs via self directed learning (online or CBT courses), and we will supply 8.5 of them through an engaging course on Microsoft Project. Additionally, the course prepares you for the official Microsoft Project exam. The primary goal of this boot camp is to send you home certified. You will achieve the required classroom hours as well as gaining the knowledge needed to pass the PMP® Exam on your first try. The Infosec PMP® Program is intended for professionals that are preparing to take the esteemed PMP® Certification exam by the Project Management Institute. Applicants must have 35 hours of specific project management education (our program covers this!). With a Bachelor’s Degree (or the global equivalent): Applicants must have a minimum three years’ professional project management experience, during which 4,500 hours are spent leading and directing project tasks, up to eight years from the time of application. Without a Bachelor’s Degree (or the global equivalent): Applicants must have a minimum five years’ professional project management experience, during which at least 7,500 hours are spent leading and directing project tasks, up to eight years from the time of application. The course was phenomenal. I'm an entry level in the terms of PMP, however, the course really opened up my viewpoints and allows me to now see the form and function that is needed in order to complete tasks and run projects. I highly recommend that this course is not only provided for Project Managers or personnel with project manager experience, but also provided to entry level project coordinators and other supporting personnel that are involved in the project process. Why is getting certified an important part of a career as a project manager? Project managers seek certifications like the PMP not only to prove their expertise in a competitive industry, but also to broaden their professional horizons — gaining access to virtually any industry they want to explore, worldwide. Certification proves to employers that you have the credentials to plan, manage and maintain projects of any size. What does this PMP training course provide that other offerings do not? Infosec’s PMP training boot camp is structured as a rigorous five days of zero-distraction training — and it is the only course on the market that affords students the opportunity to sit their PMP exam on the fifth day of class. Studies show that adults forget about 50% of what they’ve learned in a class within two weeks of it ending. Since other PMP courses have an average wait time of 2-4 weeks before you can sit the exam, our training boot camp offers the best chance you’ll have at retaining PMP material. We also offer Flex Pro students an Exam Pass Guarantee so that you can focus on the learning process with zero exam stress! What are the pre-requirements for the PMP? Candidates must have 35 hours of specific project management education (which our program covers!). Without a Bachelor’s degree, candidates must have at least five years of professional project management experience, with at least 7,500 hours spent leading and directing project tasks. With a Bachelor’s degree, candidates must have at least three years of professional project management experience, with at least 4,500 hours spent leading and directing project tasks. With or without a Bachelor’s, the prerequisites must be met within eight years from the time of application. What qualifies as project management experience? Project management experience must be gained across all five process groups as defined by the PMP Handbook. Click here to view the handbook’s breakdown of PMP Eligibility Requirements. How does the PMP examination process work? The exam consists of 200 multiple-choice questions that must be completed within four hours. There is no fixed score to pass the PMP exam, as this depends on the difficulty level of the questions assigned. For example, an exam with less difficult questions might have a higher passing score, while an exam with harder questions might have a significantly lower passing score. You will need to pass each section of the exam in order to progress. Click here for more info on what to expect on the PMP exam. Is the live online Flex Pro PMP boot camp as effective and informative as an in-person training session? Yes! Flex Pro participants of our training boot camp have access to every resource that in-person participants have, plus additional features in their Infosec Flex center, such as daily replays of the courses, detailed reporting on exam readiness, and more! What material is covered on the PMP exam? The five domains of questions that the PMP focuses on are as follows: Initiating (13%), Planning (24%), Executing (31%), Monitoring and Controlling (25%), and Closing (7%). PMI has released an Exam Content Guide with detailed information about each domain, which you can access by clicking here. How is the PMP certification different from other comparable certifications? Another certification comparable to the PMP is the CAPM, which is also offered by PMI. The main difference between these certifications is their focus. While the PMP is a more involved, upper-level certification, the CAPM is geared towards entry-level professionals. How long is the PMP certification valid after you pass the test? What are the renewal requirements? The PMP certification lasts for a cycle of three years, throughout which holders must earn 60 PDUs (Professional Development Units) in order to renew the cycle when it ends. Is a PMP exam voucher included with the purchase of this course? Yes! Purchase of this course does include a voucher, as well as our Exam Pass Guarantee for Flex Pro students. What are some tips for preparing for the PMP? Enrolling in a training course, like Infosec’s boot camp, is a great way to prepare yourself for the PMP exam. Our students have a pass rate of 94% — the highest in the industry! Other resources you can access are PMI’s PMP Handbook, and their PMP Exam Content Outline. For more great tips, click here. What’s the job outlook for PMP certified professionals? The market has a high demand for certified individuals, and earning the PMP certification opens up a world of industries for employment. Some of these industries that commonly require project managers include: construction, business, real estate, manufacturing, pharmaceuticals, information technology (IT), and so many others. What is the average salary for PMPs? According to a survey that polled over 30,000 project managers across 29 countries, the median salary for project management practitioners was $92,000. Click here for more detailed salary data.